From dependability to comfort the Dodge Caravan is a excellent choice. Dodge caravan wig 6 CD changer in dvd player. Good on gas. Up to date with oil changes. Year round tires. Plenty of cargo space. 6 CD changer dvd player. 6 cup holders seats 7. Missing the passenger side visor. The sliding doors do get stuck sometimes. It needs a new antenna. It has traveled almost all of western mass. Two hundred thousand something miles on it. New break lines wipers radiator. It has a clean title. No accidents. Kid friendly some wear and tear as a everyday driver. Great heat and ac. The ability to let all of the seats down besides the two in front. 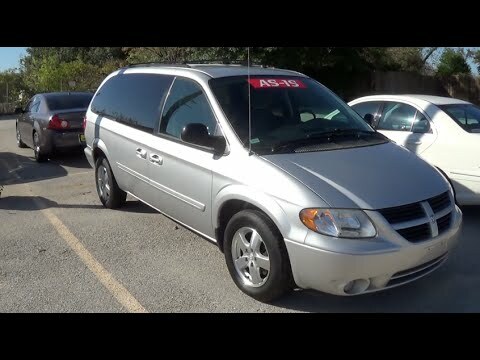 I think that the van drives really well a lot better than some other cars that I have had in the past. It is really comfortable especially for big families with the ability to let down the seats. It is definitely a reliable car it got me and my brothers to and from school, soccer practice, dance practices etc.. She has never given me any issue besides needing an oil change and brakes repair. I have had it for 3 years now with little to no problems.